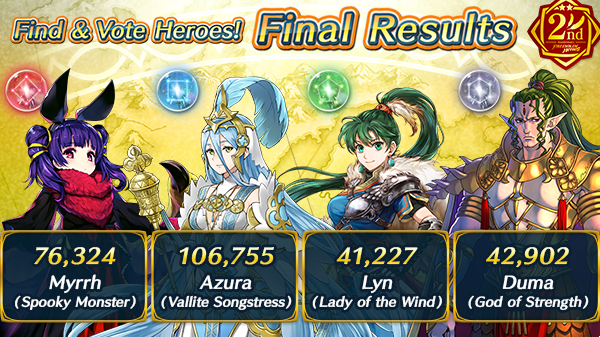 Fire Emblem Heroes: Find & Vote Heroes results have been announced! The results for the latest Find & Vote Heroes event have been announced by Nintendo of America. Beginning on February 24th, these four characters will be featured in a special Summoning showcase where you will be able to choose one to receive for free!